We’d love your help. Let us know what’s wrong with this preview of Expats in Spain by Mark Shearman. This is the go-to book if you are thinking about moving to Spain covering those questions which will crop up and often, yet suspiciously, remain unanswered. Some people buy a villa or apartment and retire on the coast, whilst others live on the outskirts of some quaint pueblo and fill their memoirs with funny stories of quirky locals and strange animals they have raised. An This is the go-to book if you are thinking about moving to Spain covering those questions which will crop up and often, yet suspiciously, remain unanswered. Mark Shearman moved to Spain in 2002 with his partner and four year old daughter. His observations are from a successful building contractor, owner of an estate agency and journalist. To ask other readers questions about Expats in Spain, please sign up. 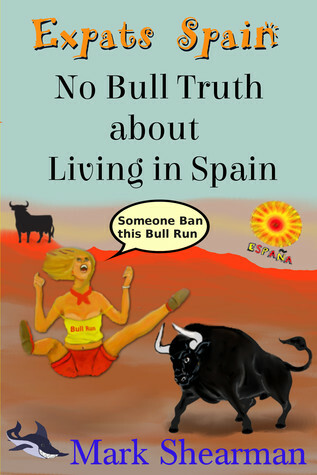 Strictly non fiction because it's the truth for those wishing to emigrate to Spain. Quite a humorous take from someone who's been there and done that. Loved this new edition of a very informative book. I have a broad sense of humour and an open mind gained from diverse work and people experience. Before I was a steeplejack in Nottingham, a farm owner in France, Berlin house builder, and a project manager in London. I was a ten-pound-pom in Australia. A year in Tenerife directed me to the Costa Blanca where I live and work as a journalist, illustrator and book cover designer. I have completed fou I have a broad sense of humour and an open mind gained from diverse work and people experience. Before I was a steeplejack in Nottingham, a farm owner in France, Berlin house builder, and a project manager in London. I was a ten-pound-pom in Australia. A year in Tenerife directed me to the Costa Blanca where I live and work as a journalist, illustrator and book cover designer. I have completed four novels and four short stories.